Fibonacci and Lucas numbers have intrigued amateur and professional mathematicians for centuries. This volume represents the first attempt to compile a definitive history and authoritative analysis of these famous integer sequences, complete with a wealth of exciting applications, enlightening examples, and fun exercises that offer numerous opportunities for exploration and experimentation. 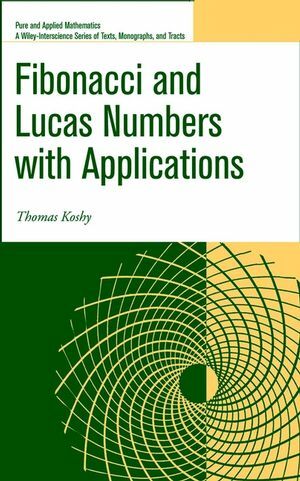 Fibonacci and Lucas Numbers with Applications provides mathematicians with a wealth of reference material in one convenient volume and presents an in-depth and entertaining resource for enthusiasts at every level and from any background. THOMAS KOSHY, Ph.D., is Professor of Mathematics at Framingham State College in Framingham, Massachusetts. He is the author of the forthcoming book Elementary Number Theory with Applications, among several other books, as well as numerous articles across a wide range of topics. Additional Fibonacci and Lucas Formulas. The Golden Ellipse and Hyperbola. Weighted Fibonacci and Lucas Sums. Weighted Fibonacci and Lucas Sums Revisited. Zeros of Fibonacci and Lucas Polynomials. Gaussian Fibonacci and Lucas Numbers. Tribonacci Polynomials. Appendix 1: Fundamentals. Appendix 2: The First 100 Fibonacci and Lucas Numbers. Appendix 3: The First 100 Fibonacci Numbers and Their Prime Factorizations. Appendix 4: The First 100 Lucas Numbers and Their Prime Factorizations.